So, in these days Tel Aviv is the capital of fashion.... Is taking place the first Fashion Week, during which some new designer are presented. The week are opened with the meeting between Ofir Lev (head of the fashion week) and Mario Boselli (President of the "Camera Nazionale della Moda"). 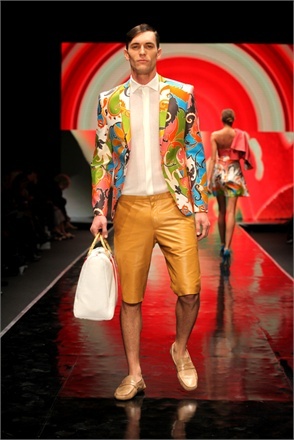 These meeting is very important for Italy, because is the most influence country in the fashion word ! 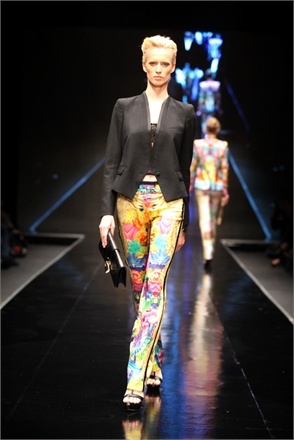 For the partnership Italy-Israel, Roberto Cavalli has created a capsule collection that is showed at the fashion week ! These are some truly beautiful looks! Che bello il tuo blog! E poi scrivi bene anche in inglese! Ti seguo anche io! i like what that guy's wearing from shai shalom. Che bei vestiti Wow...grazie x il tuo commentino sul mio Blog e certo che ti seguo! Un bacio! Che vestiti meravigliosi *___* è incredibile cosa riescano a creare gli stilisti, sono veramente degli artisti!! Grazie per il commento sul mio blog :) ho aggiunto il tuo e ora sono una tua follower, se ti va aggiungimi così possiamo seguirci a vicenda, che ne pensi? Beautiful photos, all the outfits are amazing. thanks for sharing. I like the style of your blog, of course, I'll follow by Bloglovin.